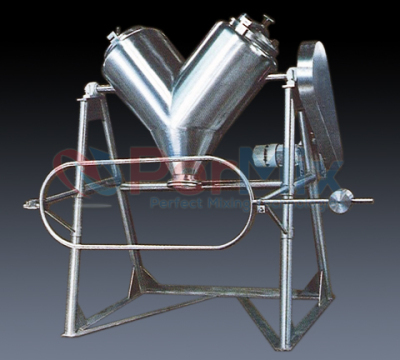 The PerMix PVM series V shaped Mixer, sometimes also called Y shaped Mixer, is one type of the so-called Tumble Mixer (the other type is the PerMix PDC series Double Cone Mixer) which is very popular for the intimate blending of free flowing dry powders, granules, and crystals. It is featured by the very simple design and easy to clean construction. 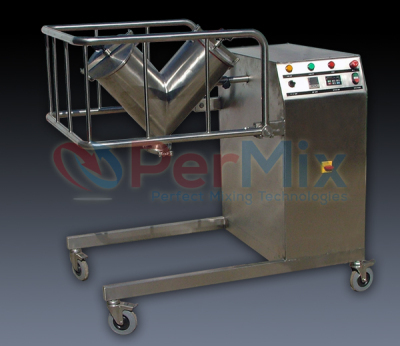 The PerMix PVM series V shaped Mixer features a gentle high-flowing mixing process for solids/solids in a proportion of up to 1:100.000 with the possibility of using an intensifier bar to enhance the mixture, and solids/liquids in powder or granulate form with different specific weights. 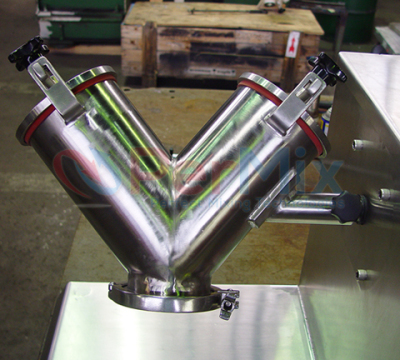 The PerMix PVM series V shaped Mixer has a "V" chamber made up by two cylinders. 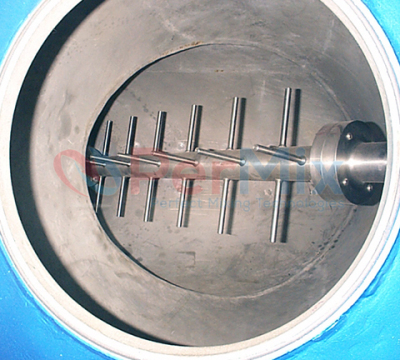 Powders and granules are fed into the V chamber either manually or by a vacuum conveyor. A gear motor drives V chamber to roll in 360 degrees. This multi-dimensional motion makes the powders and granules inside tumbling up and down and colliding to each other all the time, and achieve uniform mixing in short time. The PerMix PVM series V shaped Mixers are widely used in pharmaceuticals, colors, plastics resins, food products, ceramic glazes, metal powders, cosmetics, detergents, insecticides, explosives materials, and a lot of others.